We are a full service nationwide website design and web development company with clients from New York to California and everywhere in between. Our experience includes large corporate website development to simple, yet effective 5 page brochure website designs. 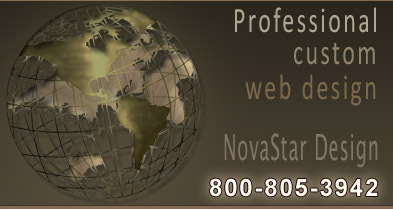 Our technology allows us to conduct business all over the United States with the ability to video conference, if needed. We encourage our site visitors to contact our clients (many listed in our website design portfolio) for references. We look forward to working hand in hand with your company to build a successful website for your business.